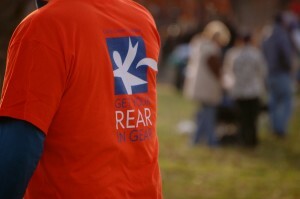 Led by a strong pre-race registration and a crowd of on-site participants, the first Get Your Rear in Gear® 5K Run/Walk in Hickory was a huge success. Gastroenterology Associates, P.A., local presenting sponsor, and a group of 50 volunteers put on a race to be remembered. 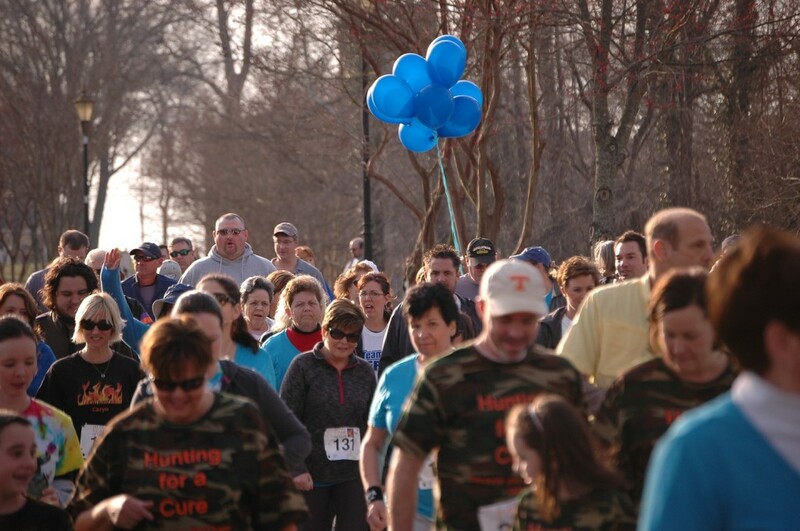 More than 550 runners and walkers turned out for the event held recently at Lenoir-Rhyne University. The inaugural event in Hickory was a true reflection on the local community, with a large outpouring of support from local sponsors. Funds raised at the event are being distributed to Catawba Valley Medical Center–Catawba Medical Foundation Cancer Fund and Frye Regional Medical Center Auxiliary-Cancer Support Center. 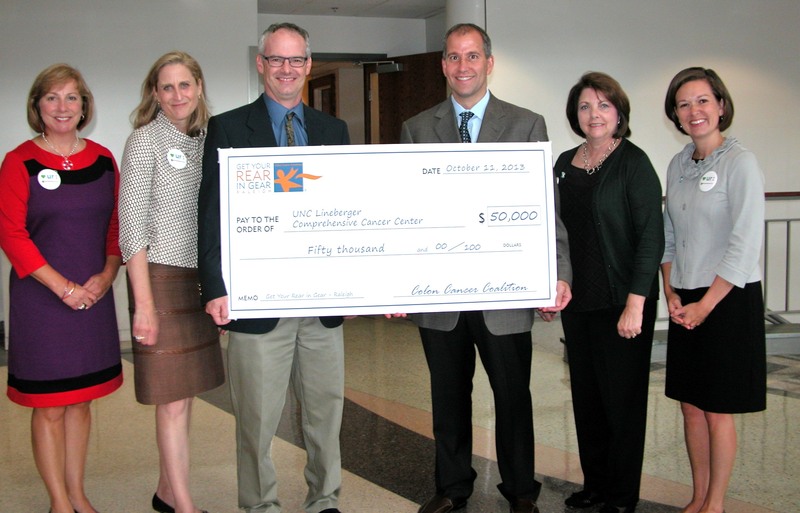 The grants will be used to promote awareness of colon cancer, offer educational support, help with early detection and treatment, and bring screening opportunities to those who are under-insured or uninsured. Spring-like conditions helped increase the number of race day participants. Get Your Rear in Gear – Hickory enjoyed a great amount of team support. The largest team was ‘Team Eric’ from Lee Industries with 61 members who joined to honor two employees named Eric who have been affected by colon cancer. ‘Team RAD’ brought in the most funds and had the largest individual fundraiser, Randall Davis. Carla Davis with ‘Team CC Fighters’ raised the most funds at the close of online registration five days prior to the race. Several survivors joined the run/walk, including 10- and 20-year survivors, including one from as far away as Charleston, SC. 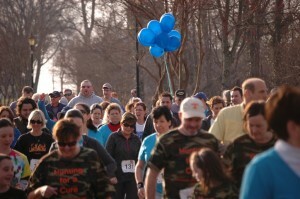 Many survivors walked carrying blue balloons. The date has been set, and registration is open for 2014. Join us Saturday, March 22, 2014, at Lenoir-Rhyne University.